Notes: If you are knitting this, don't forget to look at the errata. 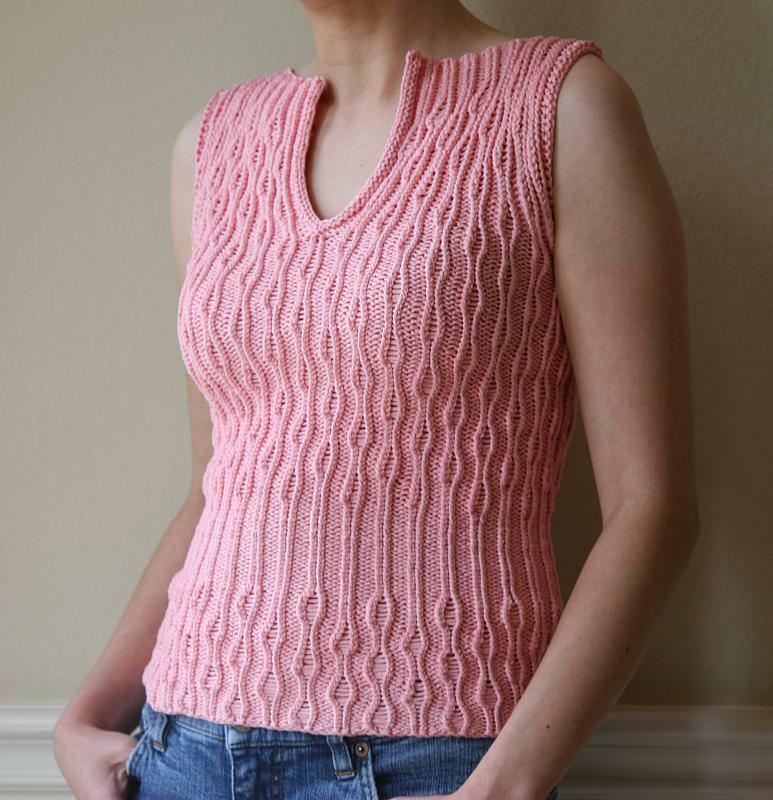 I knit this in the round, basically following the directions that had been posted to the KAL, including the part about knitting through the backs of stitches. To make the pattern go all the way around without interruption, I cast on a multiple of 8 stitches (only 136 to make sure it wasn't too big for me, since a lot of people had problems with that, and to make sure I didn't run out of yarn!). 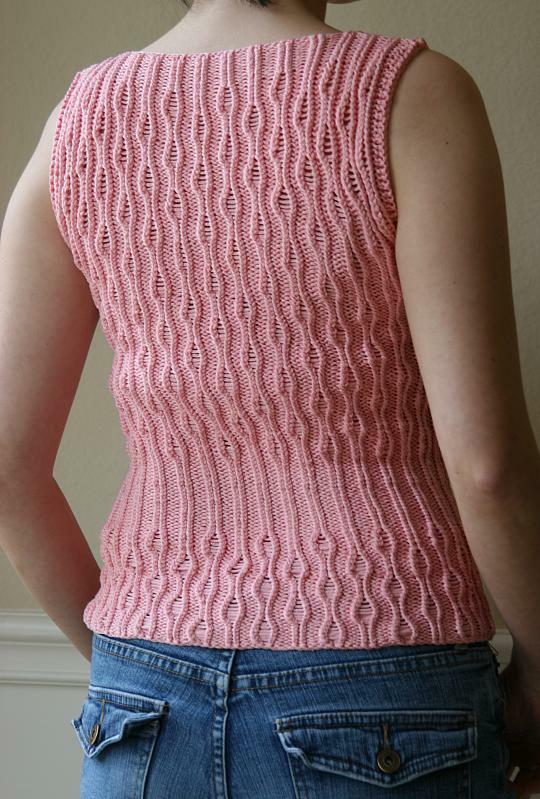 I included ribbing on the back, moved the ribbing section up closer to my natural waist, moved the neckline up, and omitted the buttonholes/buttons. I worked a smaller neck edging since I wasn't interested in placing buttons. 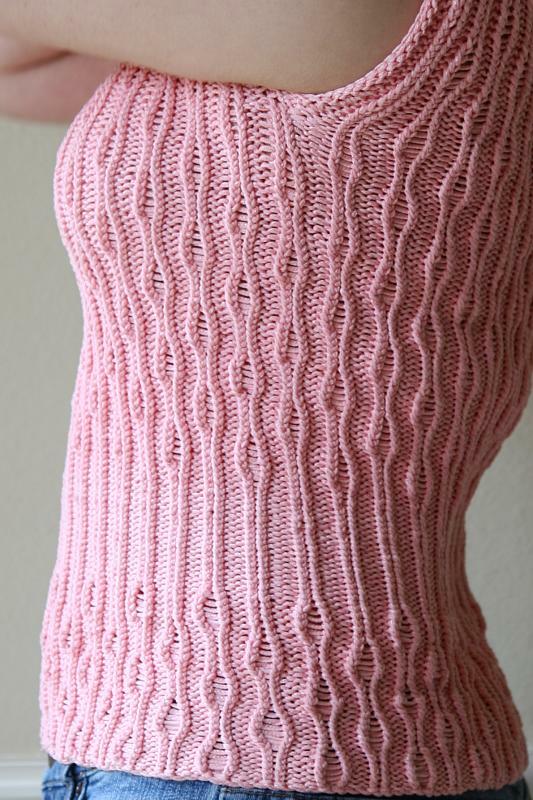 To do this, I picked up stitches as directed, then worked 3 rows in reverse stockinette and finally bound off in stockinette pattern. I put in an armhole edging too because my edge stitches there were u-g-l-y! For the armholes, I picked up stitches just like the neckband, did 1 row of reverse stockinette, and then bound off in stockinette pattern. 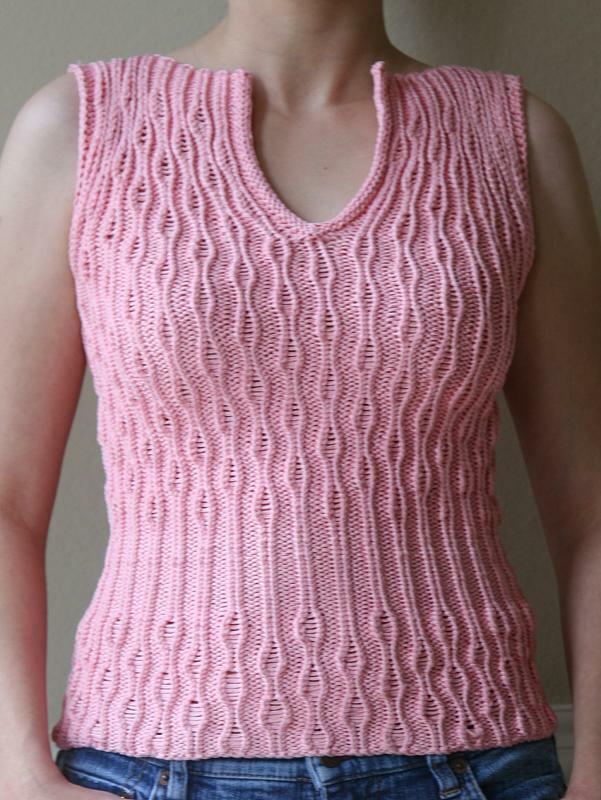 The armhole edging was worked in the round using magic loop. I thought so! You looked like you'd gotten a haircut and it appears you did! Hey this looks great - its in my que and now I might have to bump it up a place or two!